Our K-12 school system is an artificial product of market forces. It isn't a good fit for all -- or even most -- students. It prioritizes a single way of understanding the world over all others, pushes children into a rigid set of grades with little regard for individual maturity, and slaps "disability" labels over differences in learning style. Caught in this system, far too many young learners end up discouraged, disconnected, and unhappy. And when they struggle, school pressures parents, with overwhelming force, into "fixing" their children rather than questioning the system. In five illuminating sections, Bauer teaches parents how to flex the K-12 system, rather than the child. She closely analyzes the traditional school structure, gives trenchant criticisms of its weaknesses, and offers a wealth of advice for parents of children whose difficulties may stem from struggling with learning differences, maturity differences, toxic classroom environments, and even from giftedness (not as much of a "gift" as you might think!) . As the author of the classic book on home-schooling, The Well-Trained Mind, Bauer knows how children learn and how schools work. Her advice here is comprehensive and anecdotal, including material drawn from experience with her own four children and more than twenty years of educational consulting and university teaching. Rethinking School is a guide to one aspect of sane, humane parenting: negotiating the twelve-grade school system in a way that nurtures and protects your child's mind, emotions, and spirit. Susan was born in 1968, grew up in Virginia, and was educated at home by pioneering parents, back when home education was still unheard of. She worked as a professional musician, wore a costume at Colonial Williamsburg, toured with a travelling drama group, galloped racehorses at a Virginia racetrack, taught horseback riding, worked in radio and newspaper ad sales, learned enough Korean to teach a Korean four-year-old Sunday school, and served as librarian and reading tutor for the Rita Welsh Adult Literacy Center in Williamsburg, Virginia. In her less haphazard adult life, she earned an M.A., M.Div., and Ph.D. She has taught at the College of William & Mary in Virginia for the last sixteen years. Susan is married and the mother of four. Susan's most recent book for Norton, The Story of Western Science: From the Writings of Aristotle to the Big Bang Theory (2015) , guides us back to the original texts that have changed the way we think about our world, our cosmos, and ourselves.! Her previous book, The Well-Educated Mind: A Guide to the Classical Education You Never Had (2003) , is a guide to reading the classic works of fiction, poetry, history, autobiography, and drama. Norton also published The Well-Trained Mind: A Guide to Classical Education at Home (with co-author Jessie Wise) ; originally published in 1999, this bestselling guide to education in the classical tradition was revised and updated in 2004 and again in 2009. For Peace Hill Press, Susan has written a four-volume world history series for children, The Story of the World, for Peace Hill Press. Volume 1, Ancient Times, was published in 2002 (revised edition 2006) ; Volume 2, The Middle Ages, in 2003 (revised edition 2007) ; and Volume 3, Early Modern Times, in 2004. The final volume, The Modern Age, was published in 2006. She has also written a best-selling elementary writing program, Writing With Ease. 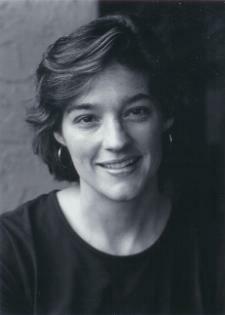 Susan is also the author of The Art of the Public Grovel (Princeton University Press) and many articles and reviews. Visit her blog at http://www.susanwisebauer.com/blog.